…was the first A3 I “saw”, too many years ago. There are no A3s at Foxfield (which is probably a good thing), but lots of retired industrial steam locomotives, fighting-fit and ready for action. Sadly, it’s not the best of days, but at least it’s stopped raining (mostly…), and we’ve time for a quick look. 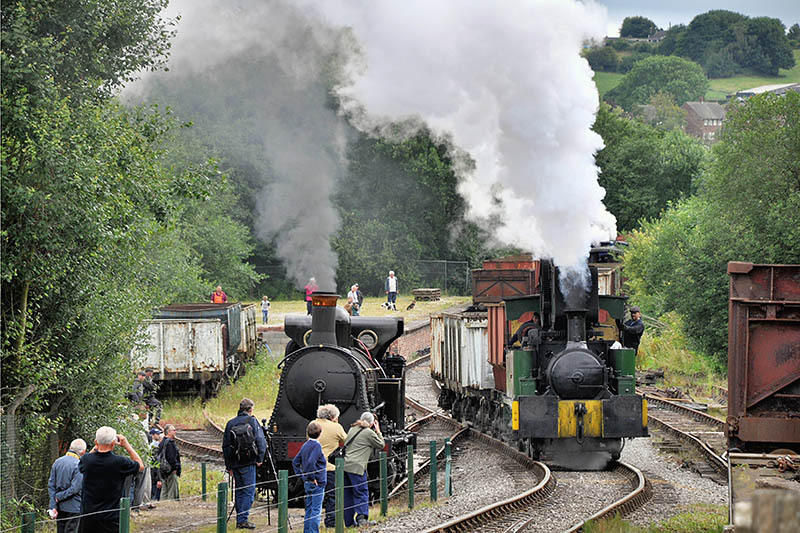 Visit Foxfield – a flying visit on Geoff’s Rail Diaries – now!